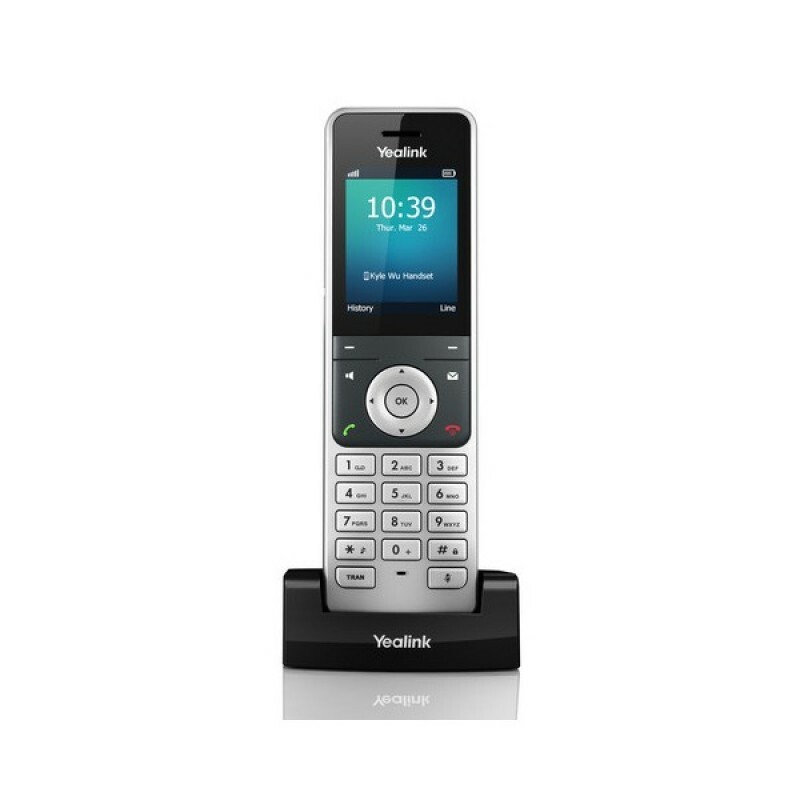 The Yealink W56H DECT Handset aloows users the flexibility to move aroun das they work while enjoying rich business features. The W56H offers extended battery life so that you can work throughout the day without having to stop to charge your phone. The W56H Handset is compatible with the W56P DECT Solution. You can add up to 5 cordless handsets and all will feature high quality wideband audio. The W56H supports up to 2 simultaneous calls er handset and has an LCD backlit display and key backlit display.